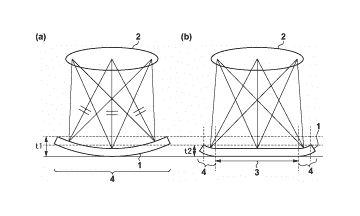 The Japanese photography blog, Egami, reports that Canon is developing and patenting curved sensor designs. The research is to understand better how light falls off the sides of the image sensors. They can learn a bit from Samsung as well, which has pioneered curved monitors and HDTVs for a few years now.